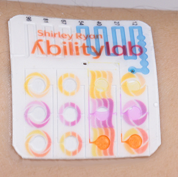 Tiny wireless skin sensors are being tested to monitor stroke recovery and breathing disorders, but they could also help babies who are born prematurely, according to a new study in the journal Science. A Northwestern scientist's new invention to monitor NICU babies. Premature babies are often covered in wires. 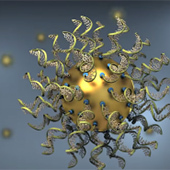 A Northwestern scientist's new invention could change that as detailed in new study published in the journal Science. Elite athletes must listen carefully to their bodies during workouts and competition. Their muscles. Heart rate. And, sometime soon, maybe even their sweat. Northwestern scientists have created a soft, bandage-like device that collects and analyzes an athlete’s perspiration as they run, bike and even swim underwater. A new device — wearable, wireless and battery free — improves the ability to monitor and diagnose health problems by analyzing the sweat on your skin. 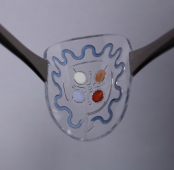 Winner of CES 2019 Innovation Award, the My Skin Track pH will enable L'Oréal, Epicore Biosystems, and Northwestern University to develop a new wearable microfluidics product and conduct new clinical studies. 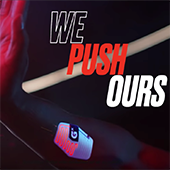 Wearable technology developed by John Rogers' Lab at Northwestern University and Epicore Biosystems was front and center recently in a new Gatorade commercial featuring tennis superstar Serena Williams. The tennis legend talks about our sweat patch technology, why she’s pitching Gatorade, and what makes a successful brand partnership in new Fast Company article. Wire-free devices that dissolve could expand the use of electric pulses in medicine. A wireless, low-power optoelectronic platform, which is based on micro-LEDs, can provide multimodal programmable control over optogenetic stimulation parameters. 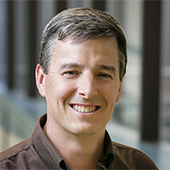 Northwestern Engineering's John A. Rogers has received the 2019 Benjamin Franklin Medal in Materials Engineering from The Franklin Institute, one of the oldest centers for science education and development in the country. Smaller than an M&M and thinner than a credit card, device can optimize treatment of neonatal jaundice, skin diseases, seasonal affective disorder and reduce risk of sunburns and skin cancer. In 2011, materials scientist John Rogers, now at Northwestern University in Evanston, Illinois, made what he called epidermal electronics: thin sheets of circuits, the mechanical properties of which were engineered to match those of human skin. 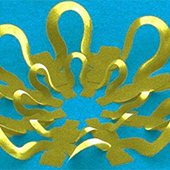 Using a suite of mechanical and materials-engineering techniques, Rogers made rigid silicon — the electronic industry’s material of choice — compatible with flexible and stretchable surfaces. The future wearable skincare technology is roughly the size of an M&M. Launching today, L'Oréal’s La Roche-Posay My Skin Track UV sensor clips onto clothing and measures the wearer’s exposure to UV radiation, a form of radiation that is known to damage skin and, in large amounts, cause skin cancer. The brainchild of L’Oréal and Northwestern Engineers, the new My Skin Track/UV device, which just launched at select Apple stores and on apple.com, is the world’s first battery-free wearable electronic device to measure UV exposure. 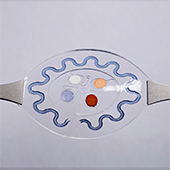 A new wireless, Band-Aid-like sensor developed at Northwestern University could revolutionize the way patients manage hydrocephalus and potentially save the U.S. health care system millions of dollars. 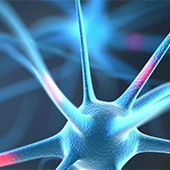 Researchers at Northwestern University and Washington University School of Medicine in St. Louis have developed the first example of a bioresorbable electronic medicine: an implantable, biodegradable wireless device that speeds nerve regeneration and improves the healing of a damaged nerve. John A. Rogers, PhD, has created a fleet of wireless, wearable devices that have the potential to change the way physicians collect data and treat patients, from NICU preemies to stroke patients in recovery. Press release from NIH that highlights our work on wireless, implantable LED systems for optogenetics control of bladder pain, originally published in the journal Pain. Coffey writes a cover feature article in Optics and Photonics News that highlights our work on wireless, implantable LED systems for optogenetics, originally published in Neuron and commercially avaialble from Neurolux, Inc.
Northwestern University and Gatorade are developing a low-cost wearable skin patch that displays various colors to conveniently let the wearer know when they need to take a drink. 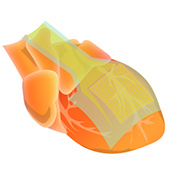 Eric Topol, editor-in-chief of Medscape, and Prof. John Rogers, Northwestern University Professor, sit down to discuss bioelectronics, biosensors and the future of medicine. Scientists in the US are developing wearable sensors to speed up the recovery of stroke patients. John Rogers’ microfluidic device heads out of the lab and into widespread distribution with Gatorade, AbilityLab, and the Air Force. Engadget's editors applied their extensive knowledge of the tech industry to scouring the show floor for the very best of the best at CES, choosing a winner in each of the 17 highly competitive categories based on level of innovation, design, market appeal and functionality. Our wireless, battery-free, millimeter-scale UV dosimeters featured in a CES best-of-show video and article by USA Today, January, 2018. Our wireless, battery-free, millimeter-scale UV dosimeters are launched as a joint product with LOreal at the Consumer Electronics Show in Las Vegas, January, 2018. Northwestern engineer John Rogers has elevated his cutting edge invention, a “Lab on the Skin,” to a rare level of cultural notoriety as part of a new exhibit in New York's Museum of Modern Art (MoMA). 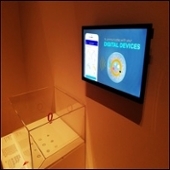 In addition to multiple versions of the device itself, the exhibit includes an animated video from Northwestern to illustrate the technology and showcase potential future applications. 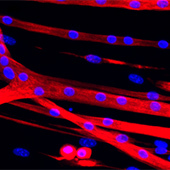 A minimally invasive technique that accurately measures living muscle tissue could someday be used to diagnose and treat a wide range of movement disorders. 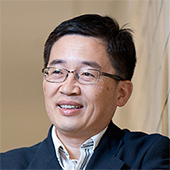 Huang's work has led to major advances in stretchable and flexible electronics with biomedical applications. The low-cost wearable electronic device developed by Professor John A. Rogers collects and analyzes sweat for health monitoring. BBC, Reuters, Associated Press, Popular Science and many others, November, 2016. Work by Mark Hersam, Yonggang Huang, Chad Mirkin, and John Rogers appear in the Novel Materials Special Feature. The Society of Engineering Science bestows the award annually to a researcher with outstanding contributions in theoretical or experimental solid mechanics. Yonggang Huang and Ilya Mikhelson received this year’s teaching award; Alex Birdwell received the award for advising. Articles have been published in Science Advances IEEE Spectrum, German Public Radio, phys.org, NIH NCBI and many others, August, 2016. Articles have been published in Proceedings of the National Academy of Sciences, IEEE Spectrum, Gizmodo, slashgear, qmed, techxplore and many others. 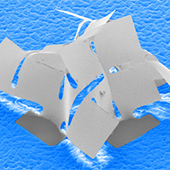 A Northwestern University research team has created complex 3-D micro- and nanostructures out of silicon found in advanced technologies using a new assembly method that uses cuts to advantage. Rogers, currently the Swanlund Chair at the University of Illinois Urbana-Champaign, will hold the inaugural Louis Simpson and Kimberly Querrey Professorship. Northwestern scientists have developed a new high-tech but simple ointment applied to the skin that may one day help diabetic patients heal ulcers on their feet. Researchers at Northwestern University and the University of Illinois at Urbana-Champaign have developed a new fabrication technique to create 3-D micro- and nanostructures with many advantages over 3-D printing.